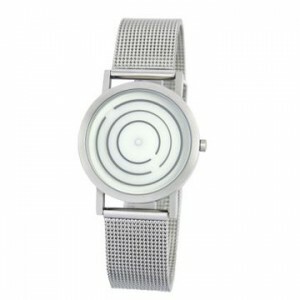 The Free Time watch is inspired by the origins of time as it relates to the rotation of the earth within the solar system. The three concentric circles rotate clockwise with each gap in the circle communicating the precise time. The hour, minute and seconds are defined by the outer, middle and inner rings.